I've read Rawls' novels, this reads like it was written by someone else. The story line and characters are difficult to follow and the story itself, boring. Not a good read at all, really. An enjoyable story, well performed. Doesn’t stray far from the possible. One has to read the whole series in order, however. Listened to it over about a 4 day period. Kevin Pierce could read the phone book and it would be interesting. 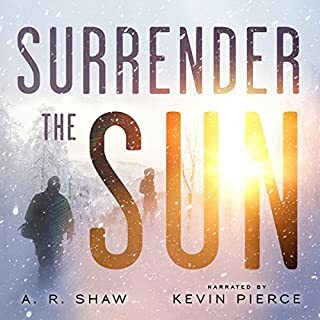 Where does Surrender the Sun rank among all the audiobooks you’ve listened to so far? 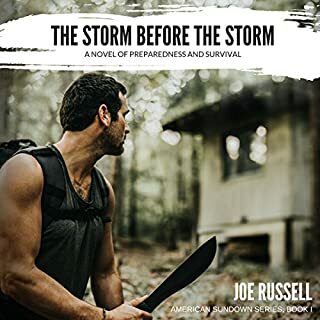 I enjoy, among other titles, Prepper Novels. 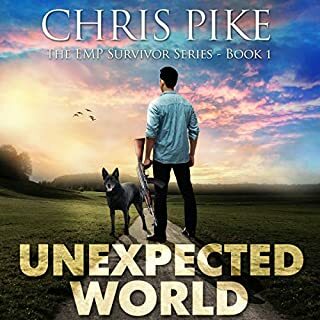 This one takes an entirely different approach from the "story du jour" of EMP, economic collapse, etc... IMHO, Kevin Pierce could read the phone book and make it interesting and this is yet another of a growing list of his performances. Get the book; you won't be sorry. I download Audible purchases to my iPhone which syncs to my car "entertainment system." Much rather listen to books like this than the boring, predictable crap on even XM radio. 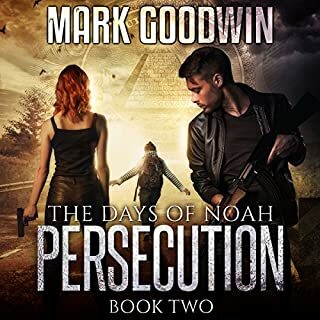 In The Days of Noah, Book 2: Persecution, a globalist conspiracy transpires by way of a false flag attack against America's energy infrastructure. 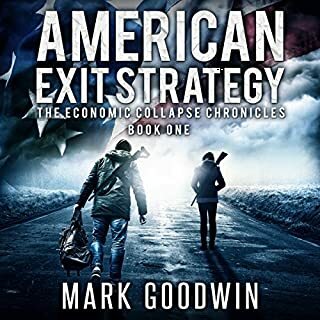 Noah and Cassandra Parker witness a complete economic meltdown which is intentionally triggered by the event. The assault is blamed on patriots and Christians who are rounded up into detention centers across the country. Kevin Pierce could read the Phone Book and it would be interesting. The storyline was ok but predictable. Not a barn burner but also not a waste ok money. 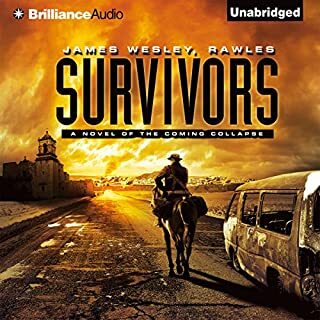 No spoilers but this does not follow the usual storyline of say.... a Rawls novel. Get ready for a refreshing difference! 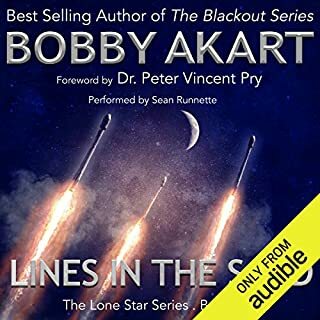 Kevin Pierce has quickly become my favorite narrator and his performance here will not disappoint. 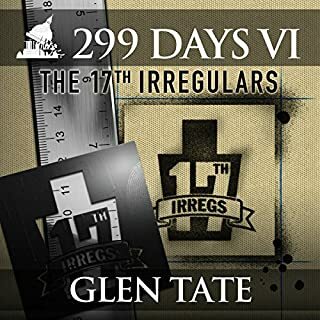 When looting and rioting overwhelm all the major US cities, Afghanistan War vet Ray McGregor makes his way from Michigan's Upper Peninsula to his parents' cattle ranch in Bella Coola, British Columbia, in remote western Canada. Joining him is his old friend Phil Adams, a Defense Intelligence Agency counterintelligence case officer based in Washington State. For starters, a different narrator. My #1 choice would have been Kevin Pierce. 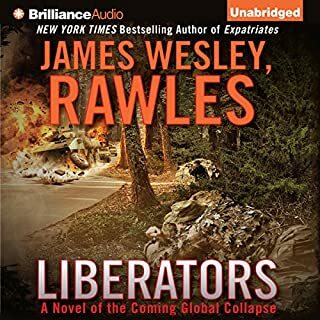 2nd, don't follow the general theme of "Patriots," this book is just too predictable. The Narrator didn't bring much to the story, sad to say. Very limited voice inflections, seemed bored with the novel (I know I was). In some ways, post-Collapse life at Pierce Point resembles the everyday normalcy that Grant and others still hoped would return. The community is organized and humming along smoothly, the young guys on the Team are partnering off with local “Team Chicks”, and Grant's daughter has found a boyfriend. For most, the new reality has been accepted and a calm, self-sustaining groove is setting in. For others, though, life is far from normal. A refreshing dose of reality. Kevin Pierce gives a great performance. His ability to vocally "act out" the dialogue adds a significant definition of enjoyment to the story line. 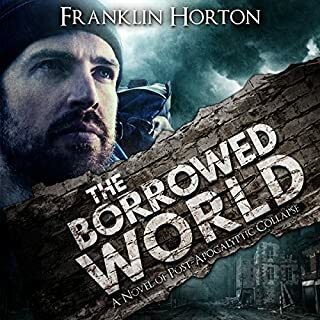 Where does The Borrowed World rank among all the audiobooks you’ve listened to so far? With most "prepper stories," you read one, you've sort of read them all. Not so here. The story line has just enough difference, the predictability element is removed. Its an enjoyable "read." Kevin Pierce is my top choice for a narrator. He adds a good deal of dimension to the story and, IMHO bring out the best in the Novel.